In part one we mentioned that Leo’s Feigin’s approach of publishing is a case sui generis. What makes it so special is his relationship with the musicians, for him working with Leo Records is based on friendship, that’s why he does not sign musicians. His philosophy is to support them without condition and whenever they want to release something, he tries to make it possible. This philosophy has led to an average annual output of more than 30 albums a year. As to free jazz standards this is sheer madness but for the musicians it is a blessing which is why many of them have a real history with Leo Records. This is part two of our selection of Leo’s 2012 issues. 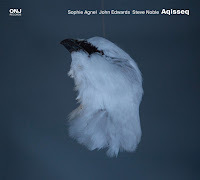 A perfect example of Feigin’s concept to support artists without signing them is his relationship to Brazilian saxophone colossus Ivo Perelman. Over the years Perelman has released 17 albums on Leo, from his collaboration with Dominic Duval and the C.T. 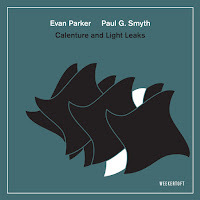 String Quartet (“Alexander Suite”) and duos with Jay Rosen and Gerry Hemingway to quintets with Louis Sclavis, Paul Rogers, Ramon Lopéz, and Christine Wodrascka up to his new trio with Matthew Shipp and Gerald Cleaver. On this album he works with the Sirius Quartet (Gregor Huebner and Fung Chern Hwei on violin, Ron Lawrence on viola, and Jeremy Harman on cello) picking up where he left off with “Alexander Suite”. 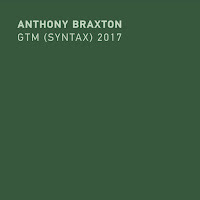 The third track, for example, explodes out of the starting blocks before it becomes a box full of staccato riffs, complex rhythms and dynamics, folk ditty melodies, circular breathing solos, avant-garde dialogues and monotonous sax drones shyly supported by the strings. It is an anthem-like track that exhales beautifully in the end. 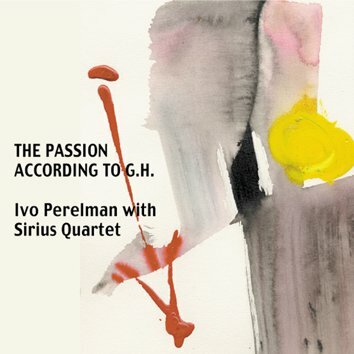 The music on “The Passion According to G.H.” includes a lot of influences: Perelman is deeply rooted in South American music like bossa nova, tango and samba in which he is easily able to integrate the blues. His tone is rich, earthy, sometimes balladesque, but he can as well be really abrasive, intensive and harsh. The Sirius Quartet, in contrast, is a wonderful ensemble comprising first class classical musicians who are able to improvise as well. Actually you cannot believe that the music on this album is totally improvised because many passages sound pre-composed (especially the strings seem to present a tightly knit carpet on which Perelman can soar) but improvisation is the key principle in Perelman’s work. 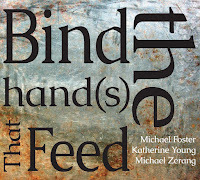 Neil Tesser says in the liner notes, ". . . Perhaps the most remarkable aspect of this album is this: not one note of it was written in advance." The last track sums this up: it starts with a beautiful conversation of strings and sax, then the strings play a Steve Reich part (it sounds like a quotation from “Different Trains”) while Perelman is adding fierce tones, and in the end the track is gliding away in pure beauty. Gebhard Ullmann’s Clarinet Trio goes back 13 years with Leo Records, but this is their first album in eight years (there were three before). 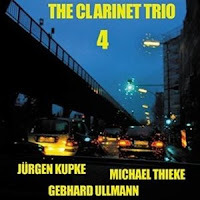 Ullmann says that the Clarinet Trio (which is Jürgen Kupke amd Michael Thieke on the other clarinets) is "like a microcosm of all my other work, I am still exploring the sound of woodwinds and the possibilities that lie in it - there is a lot of new vocabulary in this fourth CD”. Seven out of eleven songs follow the same structure. They start with a theme played by at least two clarinets, then they stop abruptly or change their tone before they come back to the theme or a modulation at the end again. In between the musicians have a lot of free space to improvise. The music includes klezmer (“May 5”), cool jazz (“Blaues Viertel”), hardbop (“Homogenous Emotion”, a previously unreleased Ornette Coleman cover) or even heavy metal if you imagine the instruments were electric guitars instead of clarinets (“Catwalk Münzstraße”). Nevertheless, my favorite pieces are those which do not follow this structure like “Geringe Abweichung von der Norm” (which means “Minor Deviation from the Norm”, the title speaking for itself), a very slow track which presents a mournful, dark and gloomy atmosphere. 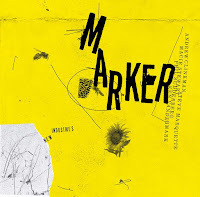 All in all, it is a very beautiful album, the communication between the musicians is simply marvelous. 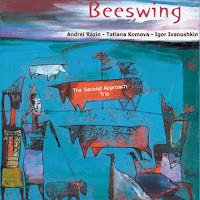 Of course, the Second Approach have a history with Leo Records as well, “Beeswing” is their third album on the label and since they are from Russia Feigin is able to present Russian music in the west, something he has always done from the Ganelin Trio up to Alexey Kruglow. 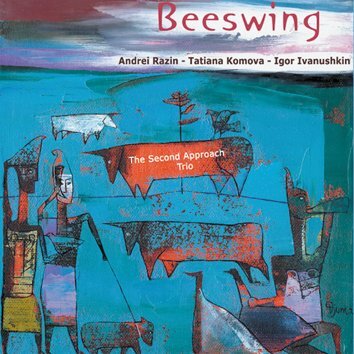 The band is Andrei Razin (piano, percussion, voice), Tatiana Komova (voice, kalimba, whistle, percussion) and Igor Ivanushkin (acoustic bass, bass guitar, percussion). On some of the songs they are supported by Mike Ellis (sax), Arkady Shikloper (French horn), Vano Avaliani (percussion) and Vlad Okunev (percussion). “Beeswing” is a sort of live “Best Of” album but the band has changed some of the arrangements giving them a new quality and new power. The music embraces all kinds of music from opera to swing, boogie-woogie and bebop. But there are also more daring attempts, for example the opening track “Dore Lume” which sounds like a mad Jewish kaddish. It is an ambivalent album, the musicians are absolutely great and when the songs are adventurous it is great fun listening to. But sometimes it is a bit too artsy fartsy, too. The The Sirius Quartet with Ivo is brilliant - 5 stars!